By Charlotte Sleigh, University of Kent, with thanks to David Clark. This simple picture below, well known to historians of science, shows one of the earliest experiments in the conductance of ‘Electrick Vertue’, performed in 1729. ‘A’ is oiled, wet thread, supported on silk strands that run between poles C and D. The Vertue is communicated to the thread by charged glass rod A; small flakes of brass then rise to meet ivory ball B, which now contains the Vertue from the rod. Antoine Nollet, Essai sur l’electricité des corps (Paris, 1746). Wellcome Library Photo number: M0014506. Copyrighted work available under Creative Commons Attribution only licence. Distracted by the wires and the letters labelling it, and the details of the experiment, it might be easy to miss the plants growing in the foreground, and what is apparently an ornamental bird-bath to the left of the picture. These features give a clue to the location of the experiment: not London, Paris, or Oxford; not a laboratory or a lecture theatre; but a country garden. The garden is at Otterden Place, a remote house set high on the Kent Downs and deep within hop country. Otterden features in the Domesday book, but the flat Roman bricks regularly dug up on the site suggest an even longer history. Yet the experiments conducted here were part of the big story that has connected the globe with wired information. Otterden Place was owned in the early eighteenth century by the Rev. Granville Wheler (1701-1770), a wealthy, young member of the Royal Society. Portrait of Rev. 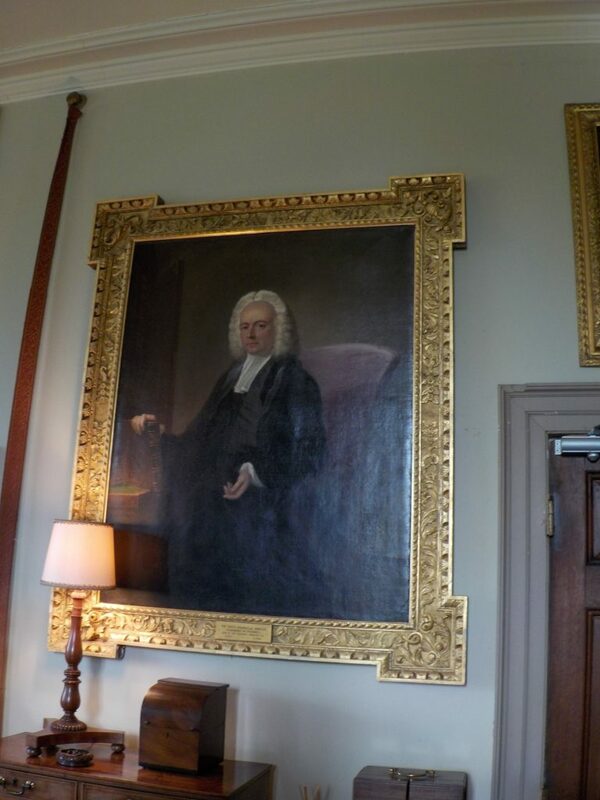 Granville Wheler (1701-1770) at Otterden Place. Author’s own photograph. Wheler’s friend John Godfrey (nephew of Astronomer Royal John Flamsteed) introduced him to Stephen Gray (1666-1736), whose curiosity about electrical properties matched, or at least successfully piqued, his own. Gray had been a near neighbour of Wheler’s, although at the time of their experiments was a Pensioner at the Charterhouse London. Gray had been born in Best Lane, Canterbury, to a family of dyers that continued their business in the Cathedral city whilst Stephen intermittently attempted to develop his chemical knowledge in more esoteric directions, attempting to effect an entrée into the altogether more gentlemanly realms of natural history and philosophy. An indication of Gray’s early scientific interests is his correspondence with Flamsteed on solar observations. Wheler and Gray were curious to see just how far the Electrick Vertue could travel. Initial experiments at the house used a vertical thread, perhaps on the assumption that the Vertue must flow, like water, downhill. Or perhaps the concern was simply that the cords needed to support the conducting must necessarily wick the Vertue away from the main run. 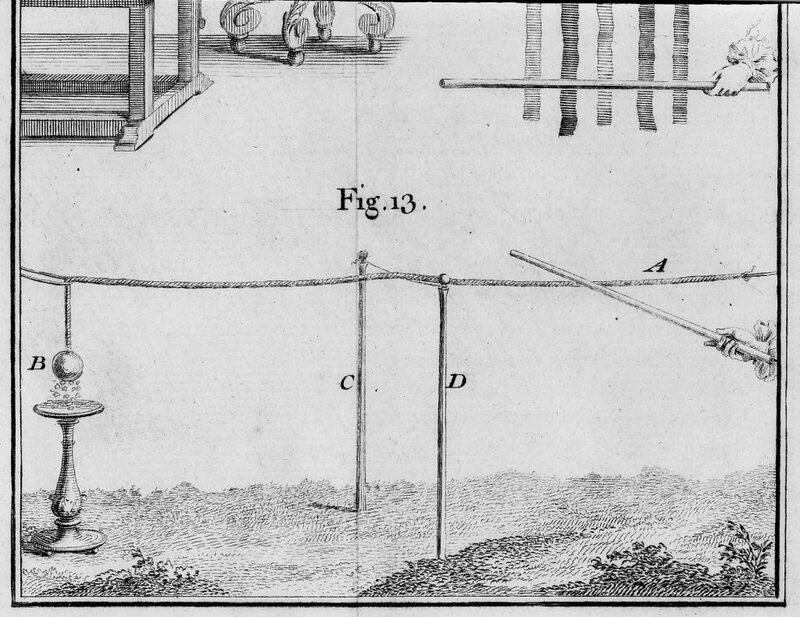 Wheler suggested using silk for these supports: a lucky hit upon an insulating material. Did he suspect this was the case? Or did he perhaps think that its thinness would limit the quantity of Vertue that it carried away? Either way, it worked, as a dramatic series of experiments in July 1729 proved. Having reached the limits of vertical drops available within the house, Wheler suggested trying a horizontal path. The Great Gallery provided an admirably long run of eighty feet; when this succeeded, they moved to the Great Barn, several hundred feet in extent. Finally, they ran the thread out of the Great Gallery window and into the garden—illustrated in the picture—to an extent of 860 feet. This too worked, but as the evening dew fell—or was it that the men became tired?—it ceased to do so. The Otterden Place experiment has been described as the precursor of the telegraph, the telephone and the internet, and in a technical sense this is true; without achieving the transmission of electrical current none of these things would have been possible. However, Gray was not looking forward to these innovations so much as carrying out investigations into what the fundamental things of nature were made of; what they were like. 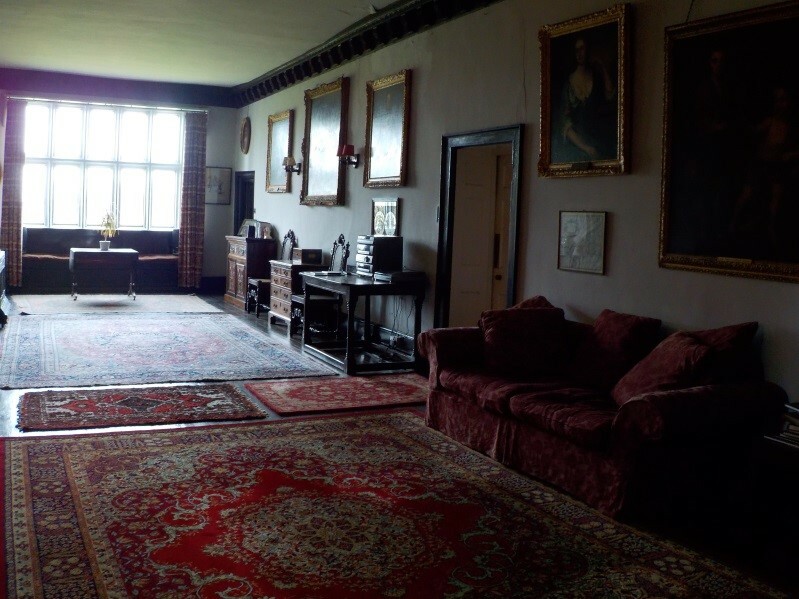 The Great Hall at Otterden Place. Author’s own photograph. 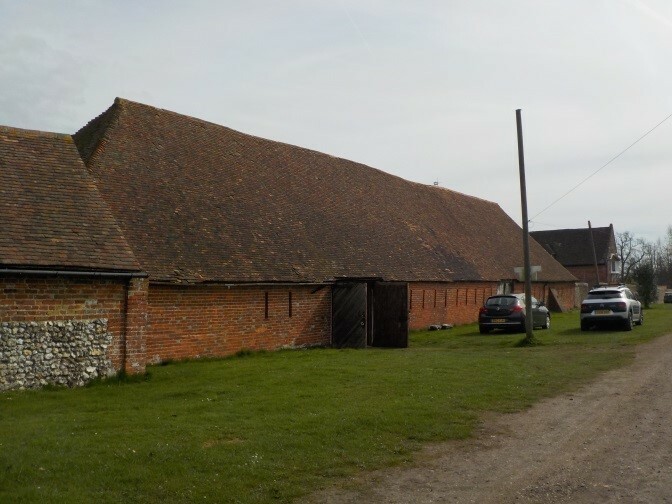 Exterior of Great Barn at Otterden Place. Author’s own photographs. 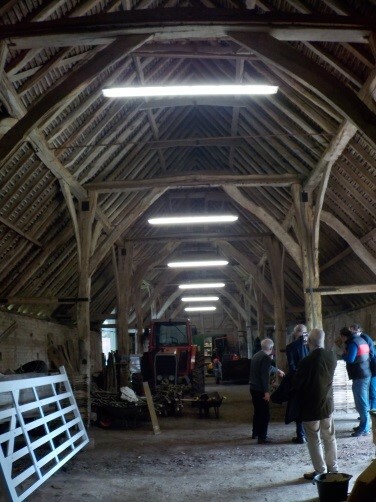 Interior of Great Barn at Otterden Place. Author’s own photographs. 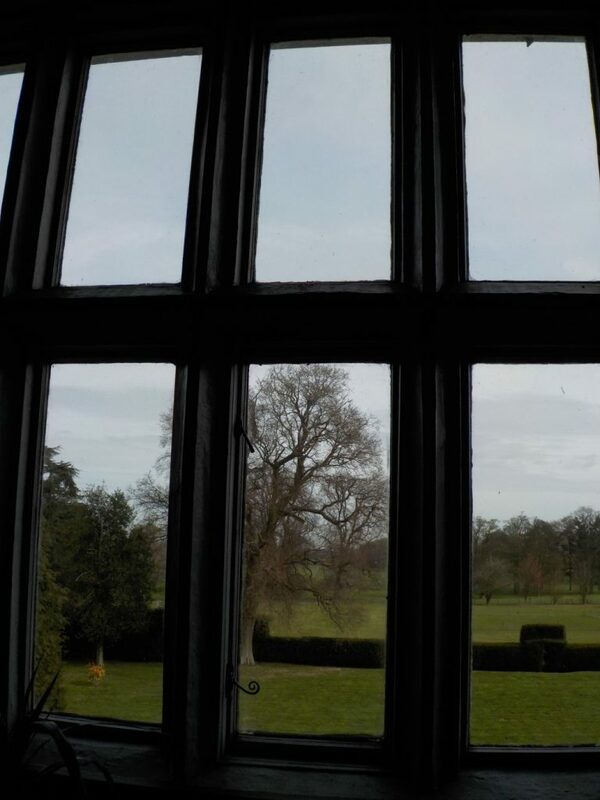 From this window to the garden: the site of Figure 13. Author’s own photograph. A private observation was no way to establish reliable knowledge, especially when one of the participants was the son of a dyer. A subsequent lecture on the experiments, at Charterhouse, London—where Gray had succeeded in obtaining lodgings and a pension—perhaps helped in cementing the validity of their findings. It was captured by Cruickshank; it is unclear who is giving the lecture, however. Subsequent experiments at Otterden Place included the famous ‘suspended boy’ experiment whereby a stout young servant, hung from silk threads, was the recipient of the transferred Vertue. Versions of this experiment were repeated all round London, an understandably popular demonstration. Gray himself was the first recipient of the Copley Medal of the Royal Society—payment for experimentation—whose value matched his annual pension from Charterhouse. He died without property, and the place of his burial is unknown. The School of Physical Sciences at the University of Kent has recently (2017) instituted an annual lecture in his honour; its inaugural speaker was Dr David H. Clark, author of a book on Gray. Otterden Place is today in private ownership. By pleasing coincidence, it has been used for some decades as home of the electronic company Meritronics, for the development and assembly of analogue electronic measuring equipment. Although the house is not ordinarily open for visits, the nineteenth-century chapel on the estate (St Lawrence) is used for occasional services. Fara, Patricia. An Entertainment for Angels: Electricity in the Enlightenment. Icon books, 2009.